On June 25, 1940 the French officially surrendered to Nazi Germany. We all know the movies about the cool French Resistance and all that and we see the French as part of the Allied effort to victory over Germany. But is that the entire truth? History teaches us that in fact the French quickly adapted to German rule and did everything they could to satisfy and please the Germans. The Germans very much enjoyed France, Paris in particular. They enjoyed the shows, the cafes and the women. German soldiers were sent there for some rest and relaxation. They truly enjoyed it. Very few French people at that time opposed the Germans. Many formed business alliances, including Coco Chanel. The legendary French singer Edith Piaf performed for and formed friendships with the Germans. This continued for about two years. At that point some began to realize that France was losing its spirit and become more like Germany. Only then did they wake up and begin to take action. The persecution of the Jews had long since begun but it was only the fear of losing the French spirit that caused the French to wake up. As they say too little too late. It is the same for most of us. We hear of bullying in school but do we sign up our kids for Krav Maga lessons? We here of break-ins, attacks on the street but how do we respond? We wait until the situation deteriorates to the point that we can no longer take it, And then we wake up. Only then do we call for unity against a common enemy, or common problem. Only then does the demand for Krav Maga classes increase. But sadly, as soon as the problem subsides people return to their old ways. We make our peace with a "bad occupier" until it gets out of control. But why must we wait so long? Why can't we learn anything from history? We must learn to stand up for ourselves, now, not tomorrow but now, not when we have free time but now, now, today. How long will we wait? How long will the enemy reside within us, enjoying all that we have toiled for? 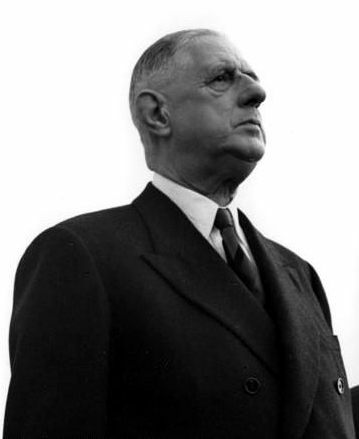 Note: Charles de Gaulle opposed the appeasement with Germany and worked to form a Free France and resist Nazi Germany. His Free French forces formed part of the Allies.